Questions to Ask Your Philadelphia Nanny Agency! Does your Philadelphia Nanny Agency require that each candidate that is accepted into your database and presented to families has come to the agency for a face-to-face interview or is this only done when convenient? You may be surprised that many Nanny Agencies, even agencies that have been serving the local community for several years, do not require the Nanny come to the agency for a face-to-face interview. Does your agency do thorough National Background Clearances on each candidate prior to accepting them into your database and representing them to families? You would definitely be shocked to find that many agencies will only do the Nationwide Criminal background check after the Nanny has been chosen. In effect, this means a criminal could have been welcomed into your home! Does your agency make sure the candidates we are considering are safe drivers? Many positions require the Nanny be, at the very least, available to drive on occasion. We feel it is important to know not only their driving record for safety purposes, but this can also be a good indication of the responsibility level of the candidate being considered. These results are provided to use during the decision making process. Does your agency require that all applicants pass a drug test at a local lab prior to being accepted into your database of qualified candidates? It is a true and very sad fact that there are many applicants who initially apply to be a Nanny but then change their mind when they realize we require a drug test before we can accept them. Every candidate must pass a 5-panel drug test to even get to the next step of ABC's extensive screening and acceptance process. Does your agency confirm that each candidate sent to us is legally authorized to work in the United States? After confirming with the candiate that they are authorized to accept employment, a Social Security Verification Trace is performed on the nanny to ensure that their social secuirty number is valid. Does your Philadelphia Nanny Agency require that each candidate be properly fingerprinted as part of the nanny screening and acceptance process? Candidates who apply to become an ABC Nanny must submit to electronic fingerprinting which is fully scanned into their profile. You truly can’t be too careful when it comes to your children. We have fingerprints for every Nanny that has ever come to our agency on file. Does your agency require that each applicant is CPR Certified in or to be accepted into your database of qualified Nannies? Every candidate accepted into our database has been fully CPR Certified prior to be accepted for representation. How long is your placement guarantee? How does it work? Is it pro-rated? 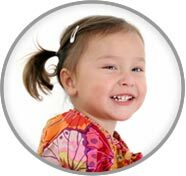 ABC Nanny Source offers a ONE YEAR Guarantee for all placements. In the event that the nanny you hired resigns or is terminated for any reason, you able to initiate another nanny search for a small administrative fee of $325. The administrative fee is waived for 30 days following the payment of any hiring fee or other administrative fee. We are very confident in our placements and offer the best guarantee available!